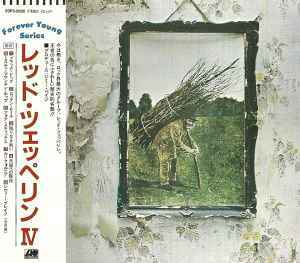 This is a repress of Led Zeppelin - Untitled with the same catalog number, and same release date code [1988 August 10] - but as 'Manufactured by East West Japan Inc.' and another repress version with 'Manufactured by MMG Inc.' and also same data & printing material. 3. "east west japan" printed on a spine of back insert. 4. "MANUFACTURED BY EAST WEST JAPAN INC., TOKYO, JAPAN" printed on disc face. 5. Not print on disc face about "UNDER LICENSE FROM..."